2. 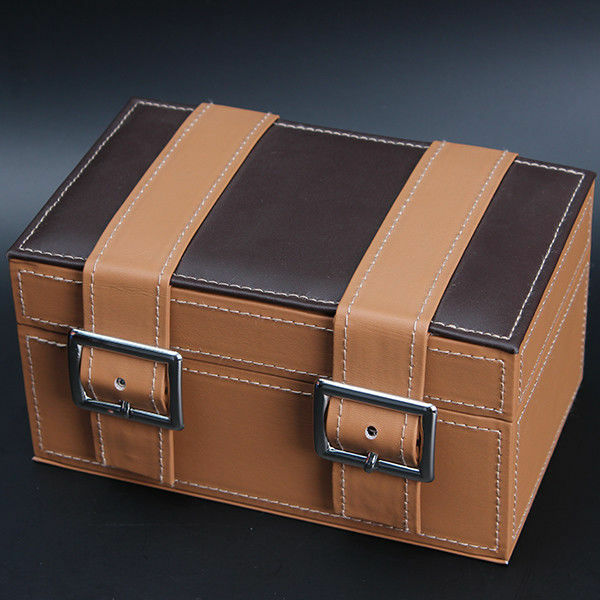 Color: brown or change as customer's requirements. 3. 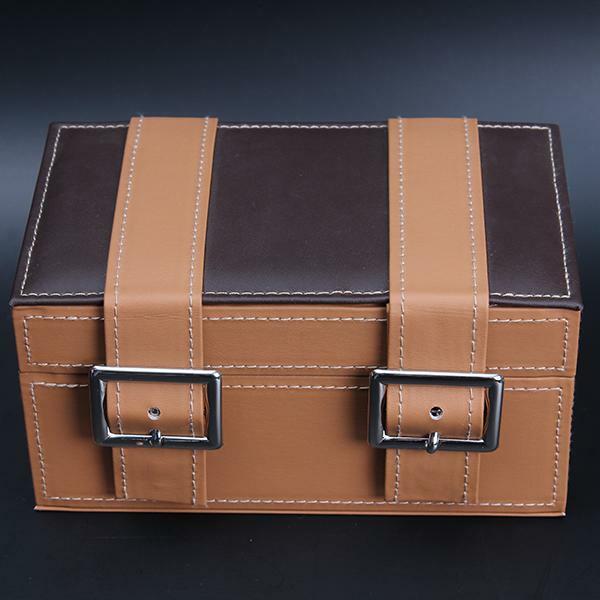 Materials: MDF box wrapped by brown leather. inside with white color velvet. 4. LOGO: Print customer's logo on the box outside top/ inside top. 6. Shipping: By sea/ air/ Express ect.